This morning we announced the expansion of our industry-leading digital platform with the addition of Océ ColorStream® 3900 digital inkjet presses at our facilities in Chanhassen and Hamburg. It’s no secret we have aggressively pursued strategic investments in new technology over the past few years, with the vision of leading the industry in the adoption of continuous inkjet technology. The reason is quite simple. Digital technology has changed the game for direct mail. The ability to tailor unique offers to each recipient is driving incredible results for our clients. But our digital platform is more than just a print platform; our ability to lower postage costs and drive higher response rates make it a powerful marketing tool. 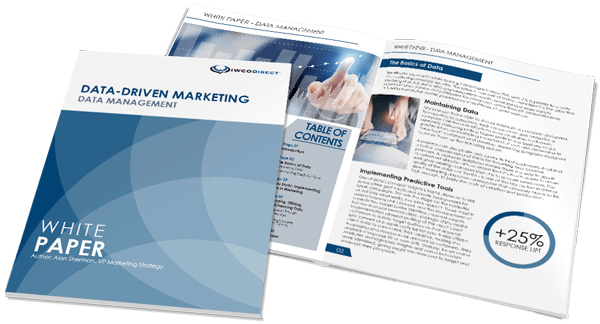 Not only are our customers seeing improved return on marketing investment (ROMI) through higher response rates driven by highly personalized and relevant direct mail, they are also benefitting from increased postal savings through single-stream optimization. If you’d like to learn more about this, Kurt Ruppel provided an excellent summary in an earlier post of how single-stream optimization lowers postage costs and lessens the pressure of our customers’ postal budgets. As our business model has evolved, so too has our value to customers. With our Proprietary Intelligence model, we’re increasingly engaged in everything from data and strategy to the creative, execution and analysis of client campaigns. Seeing our creative concepts, driven by our strategic recommendations and insights on consumer data, come to life on our digital platform is truly rewarding for everyone at IWCO Direct. We will continue to enhance our platform with a mission to not only lead the conversion to digital printing but to develop new, innovative formats and products. If you have any questions about our digital platform or how we can help you achieve higher response rates, please let us know.